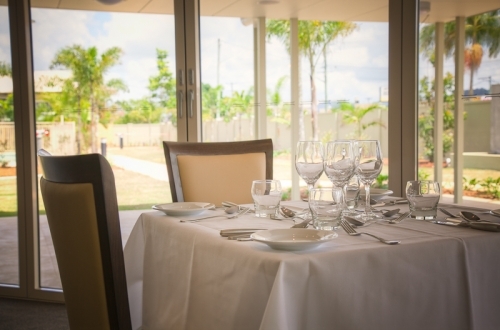 New contemporary style four star motel accommodation less than a 5 minute drive to Lismore CBD, Southern Cross University and both the Lismore Base Hospital and St Vincents Hospital. We offer 34 spacious guest rooms in varying styles all with designer bathrooms, some with spa baths and all with ducted reverse cycle air conditioning, complimentary Wi-Fi, and a flat screen T.V with digital and Austar channels. Dine in our restaurant for breakfast or dinner seven days a week. Our dedicated Event Manager can assist in planning a residential conference or gala wedding, a birthday celebration and much more, simply submit your desired interest and we can plan the rest for you!